Rediscovering that 2CV magic – HubNut – celebrating the average! There was no Goodwood Revival for me this year, other than watching an endless stream of updates via the world of social media. Instead, I attended a family gathering in Wiltshire. I was all set to take the Rover until I decided that’d be boring. Actually, boring might not be the right word. There’s a horrible whining noise from the power steering pump. The brakes are also horribly juddery. 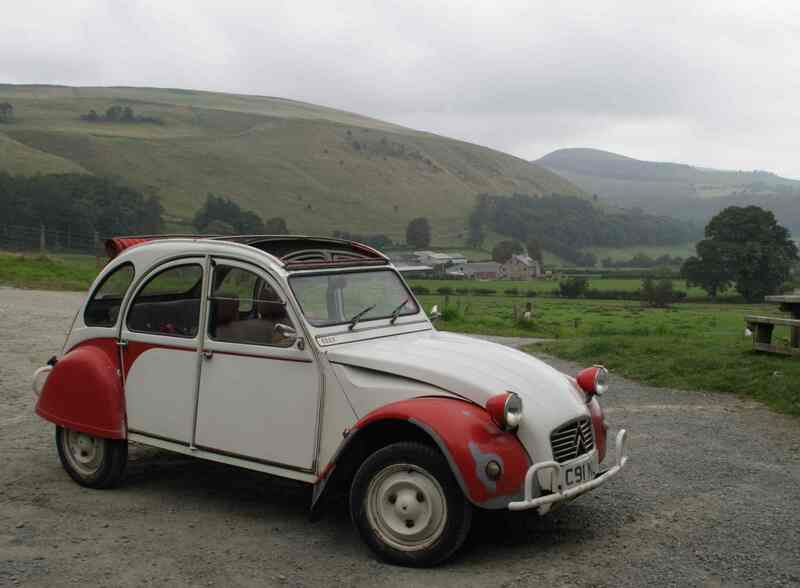 Anyway, having enjoyed our trip up to Anglesey – a 210-mile round trip – I fancied another jaunt in the 2CV. The drive there wasn’t too joyous, but that was mainly due to too much dual-carriageway and motorway, and an accident on the M4 near the Severn Crossing. Everything came to a halt, which was all the more annoying as we were on the side that the accident wasn’t. We were queueing because of rubber neckers looking at an accident that had been cleared up by the time we got there. Eventually, we reached the delightfully pretty town of Bradford-upon-Avon as convenient timing allowed me to research a feature and tick off a car from my dream list. Bizzarely, I visited the home of Hydrolastic and Hydragas suspension to meet a Citroen. Sadly, the suspension side of things was wound down long ago, with Dr Alex Moulton himself sadly passing away in 2012. However, his other ingenious idea was bicycles with small wheels and suspension – applying similar logic to that which he displayed when designing the Mini’s suspension and radically small wheels. The bicycles have endured, and are still hand-built at the factory in Bradford-upon-Avon. It was a true pleasure to visit such a historic and beautiful site. You may find it odd that I’d be investigating Citroens at the home of hydragas, but Moulton himself was always a big fan of Citroens. The technical director of The Moulton Bicycle Company confirmed that Moulton had owned several GSs and had even discussed building a hydragas Visa! This shouldn’t be a surprise really. After all, Hydragas is very similar in many ways to the hydropneumatic suspension of a Citroen – it is even inter-linked front-to-rear like the coil springs of a 2CV. I was definitely in the correct car! A full report on the C6 will be compiled before too long. You’ll have to wait for that. With that done, we spent a couple of days with family before heading home. By the time we arrived back in mid-Wales, the 2CV had clocked up another 260 miles and to maximise enjoyment, the return journey was conducted on smaller roads. Our pretty route took us via Castle Combe (not just a racetrack), Chipping Sodbury, Gloucester, Hereford and Rhayader. It was a useful reminder that wimping out and taking a more modern car really isn’t actually saving much hardship! Noise aside (resolved with ear filters that reduce the sound levels), the 2CV will quite happily take us wherever we want to go and will do some comfortably and without issue. Really, it’s a fine reminder of why the 2CV remains the one car I could never consider living without. I’ve owned over 60 vehicles, 45 or so of which have not been 2CVs. That 45 includes a huge range of different vehicles, from Bond Equipe to Range Rover, Daihatsu Sirion, Saab 9000 and Reliant Scimitar. 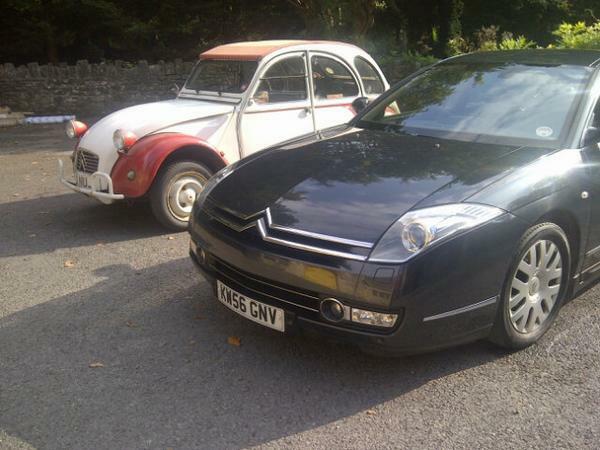 I’ve driven a great many more different vehicles, yet the 2CV remains a must-own vehicle. There’s a reason for that. They’re bloody marvellous.